As I mentioned in my article covering the latest US Solar Market Insight report (which I just published a few hours ago), I was “out of the office” today giving a presentation on solar power growth. But the presentation was actually on much, much more than that, as you’ll see in the article below and in the one to follow tomorrow. Unbeknownst to me until a few months ago, there’s a renewable energy graduate program at a university here in Wrocław (the city where I live). Turns out that at least one of the students currently in the program is a CleanTechnica reader. He noticed that I was living in Wrocław, and decided to reach out to me. We met up at a coffee shop one day to talk solar energy (for several hours), and not long after that I was invited to give a guest lecture to his class. Knowing that the students were more focused on the science and engineering side of things, I decided to focus my presentation on the solar and wind energy markets and key policy topics. 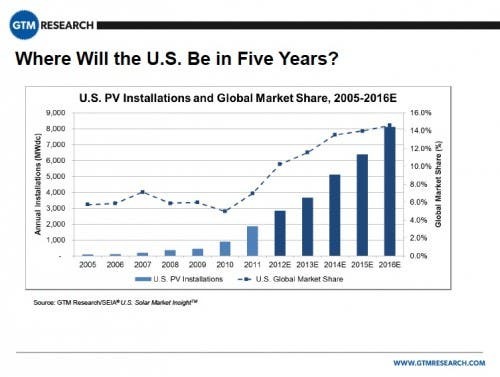 I gave the presentation earlier today, and figured it would also be worth sharing it with you all (with plenty of text added in place of my vocal commentary, and with some chart switcharoos and additions, including a few from the new US Solar Market Insight report, which was released less than an hour after my presentation ended). So, anyway, that’s the story; let’s get rolling…. Notably, the info below doesn’t even take into account the tremendous health costs of coal and natural gas, which would make them much more expensive “at the register” if actually included in the price. 1.5 years ago, GE projected that solar power would be cheaper than fossil fuels (on average) within 5 years. With 3.5 years left, GE’s prediction definitely seems within reach. 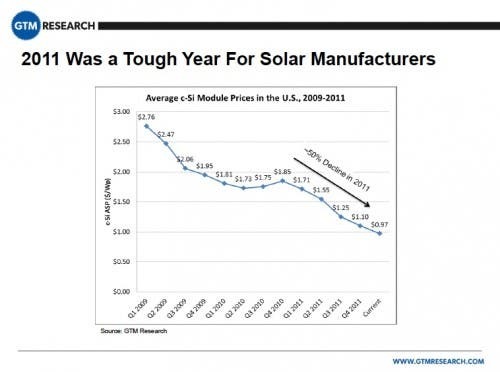 In fact, GE was putting big money into a solar cell manufacturing plant in Colorado, but in January it pulled the plug on that due to the fast-falling prices of competing solar cells. In other words, solar prices are falling even faster than GE had thought they would (and faster than most analysts and renewable energy followers thought they would). In fact, one report from 2010 found that the solar–nuclear crossover occurred a few years ago. 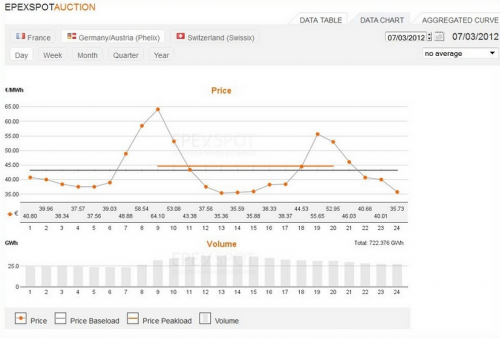 Lest you think it’s only Germany seeing such price drops, below are similar graphs from the US. This first one shows that the installed price of residential and commercial solar dropped from an average of about $12/W in 1998 to about $6/W in 2011 (~50%). 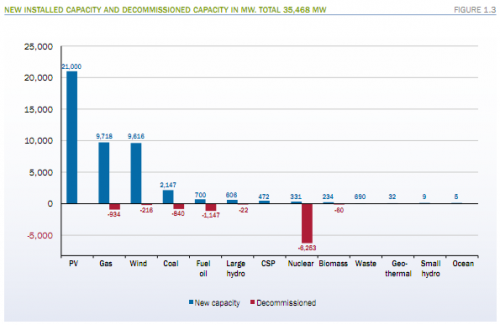 Note that the figure on the right should be $25-40/MWh. Long story short: natural gas fracking as it is happening today is artificially legal (i.e. should be illegal). 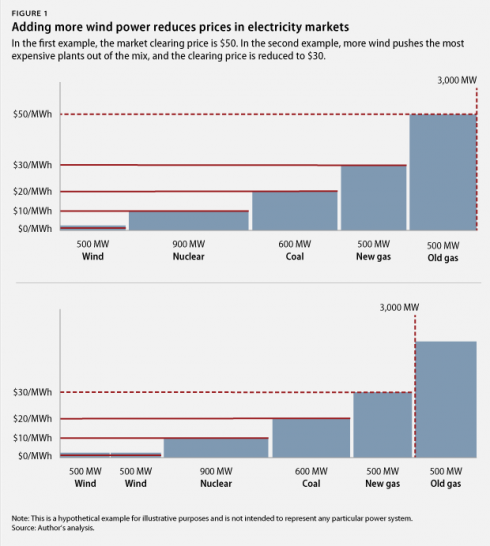 And, even today, wind energy is the cheapest option for new electricity in many, many places. O&M costs have been 38% lower in 2012 than 2008. The price per megawatt of wind power is down to €19,200 from the €30,906 it was at in 2008. The report also noted technological improvements and price reductions. Also worth noting is the birth and growth of Chinese wind turbine manufacturing firms, which is driving down prices and increasing competitiveness. Some key stats regarding global wind power are that 1) it had a compound annual growth rate (CAGR) of 25% from 2005 through 2010; 2) by the end of 2011, 200,000 MW were installed; and 3) by 2030, 1,750,000 MW are projected to be installed. Despite all of the above, there are big misconceptions about energy. Perhaps it’s because people heard things 10 years ago that they still keep in their heads and think are true today. Perhaps it’s because people hear things that are simply false (from pseudoscience fossil fuel think tanks, utility companies, and misguided media). 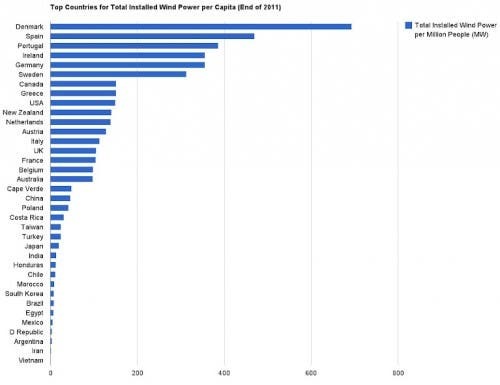 But the bottom line is that many (or the large majority of) people don’t realize how cheap solar and wind have gotten. We also have a post coming soon showing that UK residents don’t realize how cheap solar has become, and how much money they can save by going solar. I’m sure the same is true for the US and other countries/markets. Something that doesn’t get emphasized nearly enough is that rooftop solar PV essentially competes with the retail price of electricity, not the wholesale price. If you’re an average Joe considering whether or not to go solar, you don’t compare the price of solar with the wholesale price of a coal or natural gas power plant — you compare it with what you would pay for electricity from your utility. In many places, solar is already cheaper. And in many, many more places, that will soon be the case. (In other words, utilities have something to be worried about). With the increasing use of “time of use” (TOU) pricing, and the fact that peak power demand (when prices are highest) often coincides with peak solar PV output, this clean technology gets even that much more attractive (i.e. cheap relative to electricity from the grid). You can’t give a big picture summary of clean energy without noting which countries are leading the way. I love rankings and top 10 lists as much as the next guy, but these absolute installation rankings always irk me a bit. 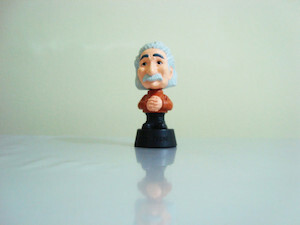 Isn’t relativity important these days? 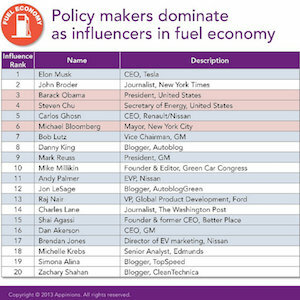 Without finding good rankings based on relative solar and wind leadership on the interwebs, I decided to create such rankings myself. 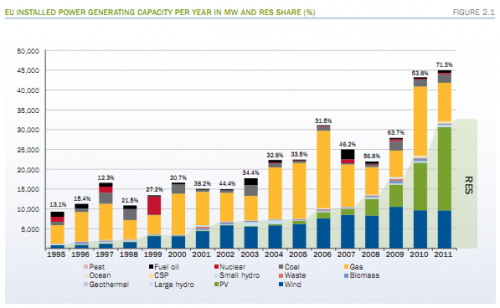 So, what are the leading countries doing to lead in the energy sector? What about energy subsidies and incentives? What about technology improvements? What about merit order pricing? What about energy storage? These are all topics I got into in the second half of my presentation (update December 12: Renewable Energy Big Pic: Part 2 is now published). 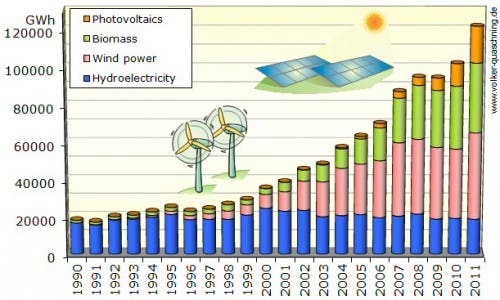 Continuing on from yesterday’s “Renewable Energy Big Pic” post, here’s Renewable Energy Big Pic: Part 2. As noted yesterday, this two-post series is basically a presentation I gave to a class of renewable energy graduate students this week. Enjoy this second part, and chime in below if anything interesting or useful comes to mind. As noted yesterday, German solar and US solar have both been growing at a fast pace for several years now, and the price of solar in both countries has been dropping steadily. However, looking at the solar power capacity of each country in a relative manner, Germany has over 21 times more solar installed per capita than the US (301.47 MW per million people compared to 13.973 MW per million people). 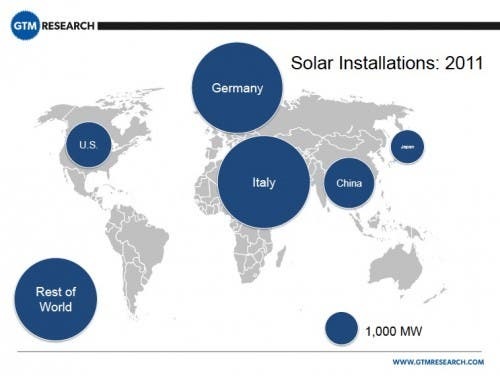 That’s not the only big difference between US and German solar, though. The price of solar power in the US is also a lot different than the price of solar power in Germany. 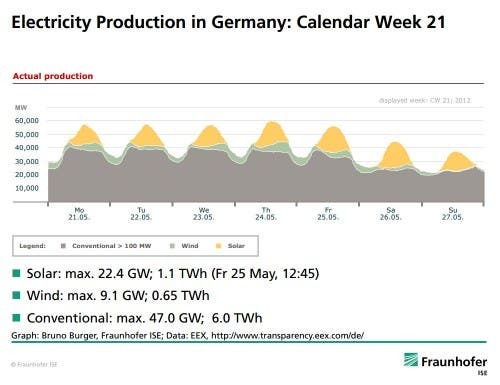 We had an article back in June noting that installed solar power in Germany was at about $2.44/watt, while it was $4.44/watt in the US. The price of solar in both countries has dropped a bit since then, but the general difference remains. 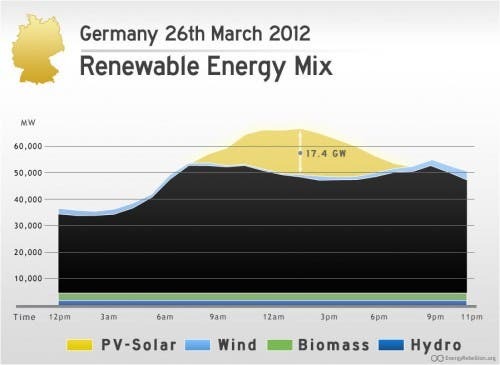 So, why is solar so much cheaper in Germany? 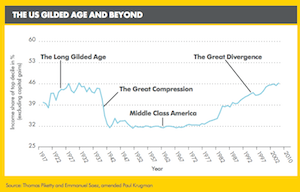 Soft costs, red tape, acquisition costs — this is where the party’s happening (or not). But now that we’ve nailed down where the price difference is occurring, how about a bit of reflection on why it’s occurring? One noticeable cause, I think, is simply that Germany has a much more mature market. 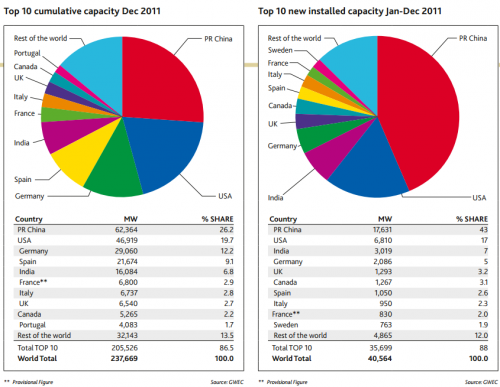 (Again, it has over 20 times more solar power installed per capita than the US.) As a market matures, competition increases, there are more economies of scale, and costs come down. Another very interesting factor worth noting is the negative effect subsidies can have on mature or maturing technologies. This is something one of the premier solar policy and finance experts in the world, Jigar Shah, focused on in an exclusive guest article for CleanTechnica a couple months ago. His article, “Are Subsidies Holding Back U.S. Solar Deployment?,” noted that solar subsidies in the US are manipulated by investors in order to get a higher return on investment. In other words, by claiming that solar systems cost more than they do, investors are able to gain more in tax credits. Jigar noted that “solar is now cost-effective without subsidies for ideal customers in 300 utilities in 30 US states.” Thus, he advises that we cut the subsidies and watch the price of solar fall. Another thing worth noting is that many people (including schools, government buildings, and nonprofit organizations) can’t take advantage of solar power subsidies in the US. So, it’s imperative that we not inflate the cost of solar for those potential customers with unnecessary subsidies. I’m sure this is a controversial topic, and there’s a lot more detail to get into on that matter, but we’ll leave this summary at that for now. Subsidies in first 15 years of various energy sources. I’m sure the same is more or less true across the world. In my opinion, the key at this point with regards to subsides is that dirty energy subsidies need to finally be cut, for once and for all. And as part of that, pollution and other externalities need to be adequately priced. Of course, if this were done, fossil fuels would be considerably more expensive. But the fossil fuel industry is fighting such a change tooth and nail… and (so far) winning, for the most part. Another very interesting topic to cover when looking at the “renewable energy big picture” is the merit order effect. When utilities need more electricity, they buy it from competing electricity producers. Those producers make bids to offer up their electricity for purchase. To produce extra electricity, of course, coal power plants need to input more coal and natural gas power plants need to input more natural gas, which costs money. 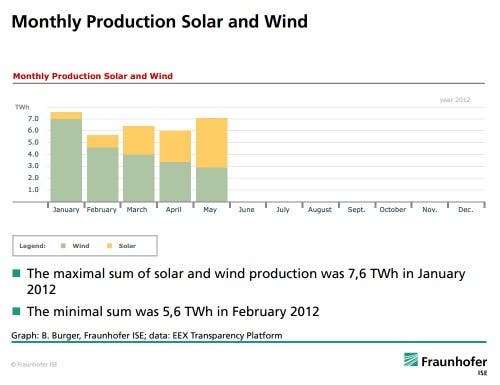 Wind and solar power producers, however, have the sun shining and the wind blowing for free. Nothing really needs to be done to take advantage of that, so the extra cost to send more electricity to the grid is essentially nil. 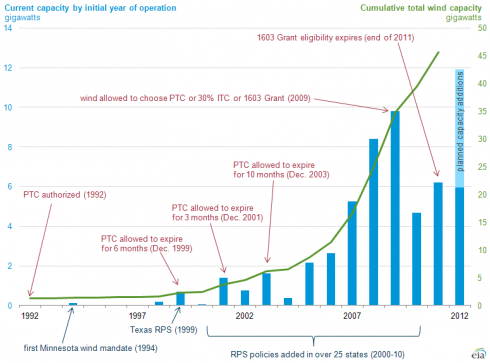 That means that solar and wind project owners can bid down to $0 (or even lower in some instances, due to subsidies). That has one rather huge effect: it drives down the price of electricity on the wholesale electricity market. And plenty of other places. Notably, in that second graph, you can see that the price of electricity is so low in the middle of the day that it’s practically as low as electricity in the middle of the night. Typically, middle of the day electricity should be very high. But, get enough solar on the grid, and the world turns upside down. Unfortunately, as we’ve pointed out on a couple occasions, the wholesale electricity price reductions from the merit order effect (i.e. renewable energy) aren’t always passed on to consumers via reductions in the retail price of electricity. One would hope that’s the exception rather than the norm. One area where we really could use some breakthroughs is energy storage. Solar and wind’s biggest downsides are that they are not controllable… and sometimes not available. Also, the sun is always shining somewhere and the wind is always blowing somewhere. With a well-connected and large grid, the issue of running out of electricity is minimized or even moot. I wouldn’t expect them all to achieve their aims, but I wouldn’t be surprised at all if one of them led us forward into a new era of energy storage… and a new era of energy, in general. 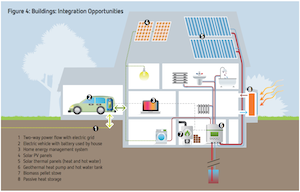 Additionally, there are already some companies looking to bring home energy storage systems to mass market. For example, Panasonic. As stated yesterday, mass market production and market penetration themselves help tremendously to bring technology costs down. If Panasonic or others start producing mass market energy storage solutions, watch out. Another potential energy storage solution is simply using the batteries in electric vehicles to help balance energy supply and demand. Mass market electric cars are growing fast and seem to be the future. Cars sit parked, out of use, approximately 95% of the time. Their batteries could be of some use while parked. I’ve heard utility company CEOs talking enthusiastically about this. 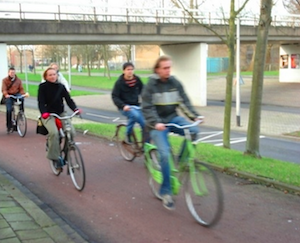 Though, I’ve also seen some convincing arguments against this idea taking off. We’ll see. I don’t think it will be a silver bullet, but it could be part of the solution. And, of course, if you’ve got solar power and a plug-in electric vehicle, you could already start using your battery a bit for non-vehicle purposes. I often start with this image in such presentations, but I’ve decided to end with it this time. This chart above shows that solar energy potential each year is several times more than the potential from finite energy reserves of any type of fossil fuel or nuclear power (and wind energy also has tremendous potential). Yes, for renewable energy sources, annual potential is represented, while it is only potential from finite energy reserves for the other energy sources. Very interesting. I have written an opinion column for the last 6 years in the San Diego Daily Transcript, and disucssed a wide variety of energy and global warming related topics, not the least wind and solar deployment. What is most needed in the US is a clear sense of urgency due to global warming and a realistic sense of the delays created by the environmental community in deploying both large-scale wind and solar projects. As capable as businesses may be in producing the miricles of modern solar and wind energy extraction technology, the enviornmental community has hamstrung most with absurd layers of studies, many of which really form the basis for further delay and litigation, followed by settlements in monetary terms. It might be useful to look at some of the “pig-in-python” pent up productive capacity in the US which has no place to be deployed. We could very easily solve many of the emission related issues if what we now possess could be deployed in relatively rapid order. If one looks at what was done in Germany, and now in China on a grand scale, the lesson is clear that it is not for lack of technology, but the lack of deployment. You might find some of my columns of interest and I include a few here. Unfortunately, links don’t survive, so I will just put in one or two of the dozens. It has certainly been unfortunate how some fringe environmentalists have done more harm than good. There’s always improvement to be made — for example, on both sides of that story.